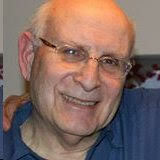 Leonard Grob is Professor Emeritus of Philosophy at Fairleigh Dickinson University, Teaneck, NJ, where he taught full-time for almost forty years and where he continues to teach on a part-time basis. Grob has published in the areas of peace studies and philosophy of dialogue, concentrating on the works of Martin Buber and Emmanuel Levinas. A journey to Ukraine to uncover the history of the destruction of his father’s family during the Holocaust led Grob to study that genocide, a focal point of his research during the second half of his career. A memoir, published in the journal “Judaism” and entitled “Goodbye Father,” describes this “roots’ journey.” Along with Hank Knight, Grob served for twenty years—until July 2016—as co-director of the Stephen S. Weinstein Holocaust Symposium at FDU’s Wroxton College, Oxfordshire, England. Having retired from the Symposium’s active directorship, he currently holds the title of “Senior Director.” Grob has authored articles and chapters on topics such as post-Holocaust education, ethics after the Holocaust, the ethics of rescue, and relationships between memory of the Holocaust and Israeli politics. He focused on the latter topic in Anguished Hope: Holocaust Scholars Confront the Palestinian-Israeli Conflict (2008), co-edited with John K. Roth. Grob is also a member of the think tank “The Peace Consultancy,” generating ideas toward the resolution of the Israeli-Palestinian conflict. His most recent scholarly endeavor, a volume also co-edited with John Roth, is entitled Losing Trust in the World: Holocaust Scholars Confront Torture (2016).